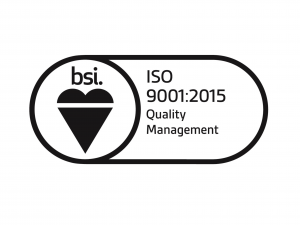 Team Rewinds Now ISO 9001:2015 Certified! Team Rewinds have been certified to ISO 9001 since 1990, as it was demanded by customers in order to win new contracts. However, the Company have embraced the principles of the standard as it underpins best business practice. Over the years the Company have continually improved their system, its processes and developed their practices to better the products and services they provide to their customers. This includes investing in their people to develop a highly trained workforce, and in their workshop to ensure they have well maintained equipment and excellent standards of workplace organisation. This has allowed them to be reactive to customer needs. The release of the revised ISO 9001 standard back in 2015 was not a worry to Team Rewinds, as most requirements embraced a lot of the principles already incorporated into the business, and the leadership team are heavily involved in the day-to-day running of its operations, including structured communication and training methods throughout the business.